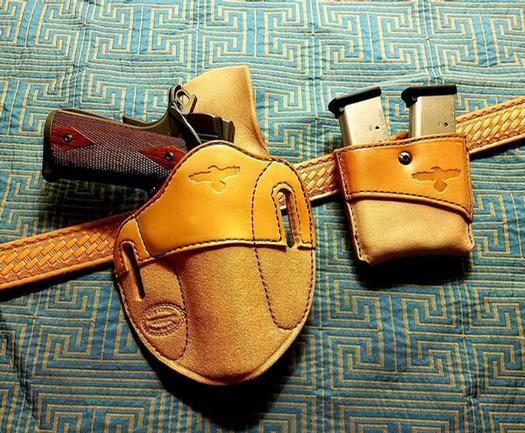 This simple and rugged, leather dual magazine pouch (holds two magazines) lays flat on the belt and can be easily snapped over the belt, with our very secure hard action snaps. 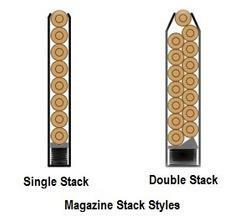 The Dual Defender mag pouch takes up much less room on your belt than does the CID dual pouch. A tension screw allows you to adjust the tension for your own needs. Available for a wide varity of service pistols. This makes a great looking tooled pouch as well. 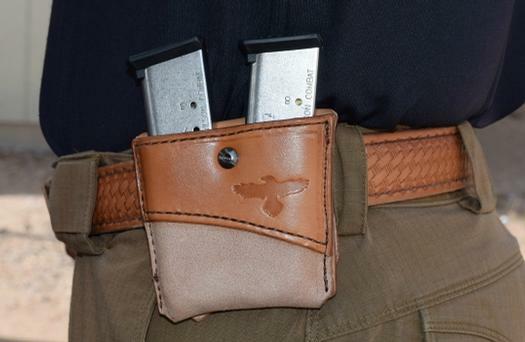 For deeper concealment you can flip the pouch around and slide it under your belt. This technique helps blend in the pouch under your covering garment.